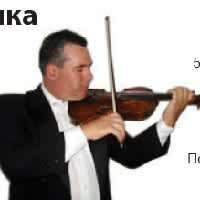 I am a highly organised and motivated professional music teacher with solid performing and teaching experience. I am very comfortable with all aspects of the current Royal Conservatory and Suzuki music syllabus, including teaching musical concepts (such as duration, pitch, dynamics, tone color, texture and structure) as well as performance, reading and listening skills. I possess solid understanding of these concepts and skills in the context of various musical styles, periods and genres. Throughout my teaching career, I have been driven to help students achieve their very best. I strongly believe that music has the power to change lives – to enhance the social, cultural and spiritual lives of people, and serve as a profound medium of personal expression. My empathy and my interpersonal skills enable me to freely discuss any matter of concern with both students and parents of diverse social backgrounds. I believe this is a role to which I could bring great value, exercising and broadening my music teaching experience, and helping students develop their talents while nurturing their passion for music.